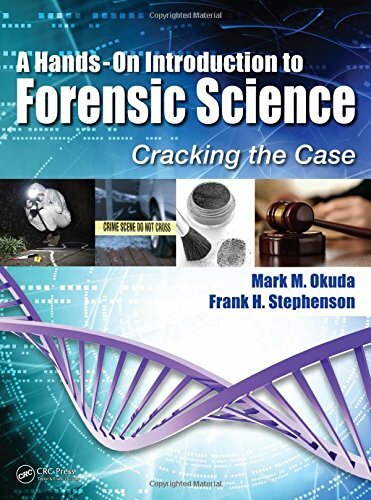 [PDF] A Hands-On Introduction to Forensic Science: Cracking the Case | Free eBooks Download - EBOOKEE! Description: One failing of many forensic science textbooks is the isolation of chapters into compartmentalized units. This format prevents students from understanding the connection between material learned in previous chapters with that of the current chapter. Using a unique format, A Hands-On Introduction to Forensic Science: Cracking the Case approaches the topic of forensic science from a real-life perspective in a way that these vital connections are encouraged and established. The book utilizes an ongoing fictional narrative throughout, entertaining students as it provides hands-on learning in order to "crack the case." As two investigators try to solve a missing persons case, each succeeding chapter reveals new characters, new information, and new physical evidence to be processed. A full range of topics are covered, including processing the crime scene, lifting prints, trace and blood evidence, DNA and mtDNA sequencing, ballistics, skeletal remains, and court testimony. Following the storyline, students are introduced to the appropriate science necessary to process the physical evidence, including math, physics, chemistry, and biology. The final element of each chapter includes a series of cost-effective, field-tested lab activities that train students in processing, analyzing, and documenting the physical evidence revealed in the narrative. Practical and realistic in its approach, this book enables students to understand how forensic science operates in the real world. No comments for "[PDF] A Hands-On Introduction to Forensic Science: Cracking the Case".